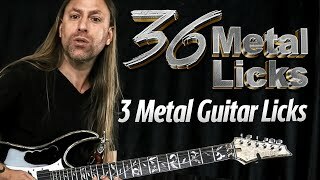 Visualize - You’ll “see” how to play 36 must-know metal licks, so you can supercharge your technique and style. Connect - You’ll discover how to connect these licks to create killer guitar solos, and you’ll never hesitate to solo again. 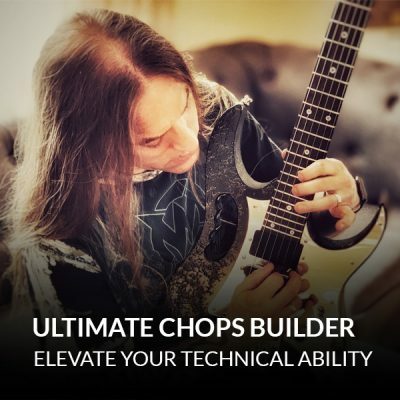 Discover how to execute techniques like hammer-ons, pull-offs, and unison bends, so you can play awesome licks with confidence. 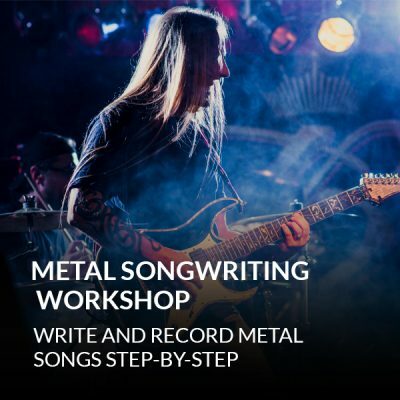 Unlock the secret to getting that gritty “metal” sound, so your playing always sounds edgy and authentic. Have fun playing awesome trill licks in the style of Judas Priest and Iron Maiden, and gain expert skills while you play. Discover awesome picking sequences in the style of Vivian Campbell and Craig Goldy, so you can create lightning fast licks that sound amazing. How to use patterns to move vertically across the fretboard, so you can create out-of-the-box solos that don’t sound like a “boring” scale. 1 secret trick the pros use to make difficult licks easier to play, so you can keep learning new licks without wasting time. 1 easy and effective way to master speed picking, so you can blaze through single-note runs with ease. How to use pedal tones to create killer guitar riffs that keep the rhythm going and really drive a song forward. 1 easy way to create dynamic licks with string skipping, so your guitar solos won’t get stuck in the same boring patterns. 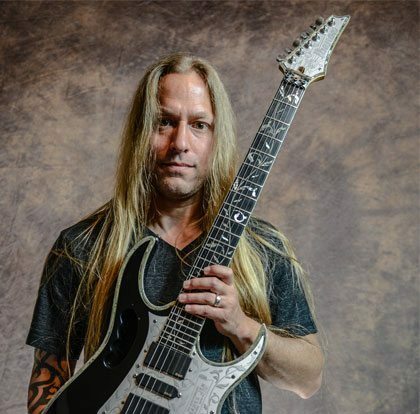 Unlock the secrets to John Petrucci-style shredding, so you can play fast without tripping over your fingers. The secrets to effective sweep picking and arpeggios. 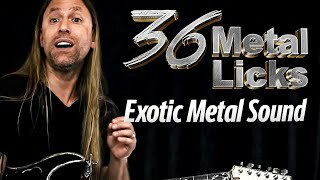 How to play darker, heavier licks with the harmonic minor scale, so your licks have that distinctive “metal” sound, even without distortion. How to play 2 inversions of the diminished scale, which means you’ll be able to play smokin’ diminished licks in the style of George Lynch. 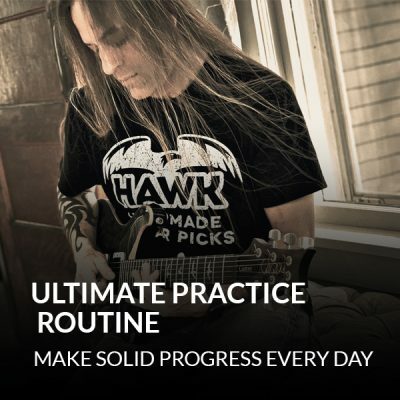 The key to unique note combinations in the style of Marty Friedman, along with Buckethead and Jeff Loomis inspired licks, which will add an exotic feel to your playing. 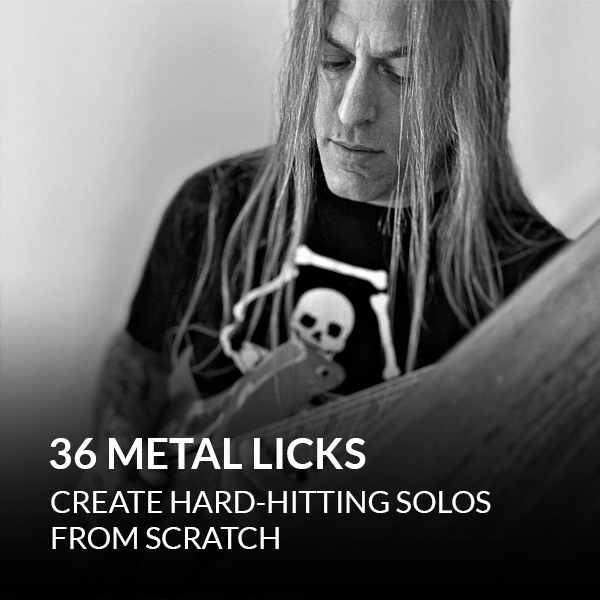 The secret to putting it all together, so you can create killer metal solos from scratch. Discover fun, practical ways to use tapping in your licks and solos, so you can add a jaw-dropping new dynamic to your playing. How to deaden the other strings while you’re tapping, so you can play with precision. Pro tips on how to practice tapping, so you can master this difficult technique with ease.